“In HBO’s meticulously unhinged new comedy, Danny McBride and Walton Goggins play the titular seconds-in-command at a typical American high school … Episode 1 promises a slow burn — but by episode 2, fires are starting. McBride has announced that Vice Principals is an 18-episode closed saga, and there’s a clarity of purpose in the opening episodes of the show, a sense that things are hitting the ground running — and, quite possibly, going straight to hell.” — Entertainment Weekly. “Vice Principals is not one of HBO’s sophisticated comedies, by which I mean that it’s not a knowing satire like Veep or a subcultural ensemble riff like Silicon Valley. It’s a more obvious comedy about ignorance, insensitivity, ambition, and delusion, like Eastbound & Down, and it’s enjoyable if you don’t expect too much from it, also like Eastbound & Down.” — Boston Globe. “It’s not easy to imagine a contest for a high-school job so competitive that it ends up involving a planned homicide and an actual house burned down, never mind comparatively minor curiosities like compulsive streams of obscenity that stand in for normal speech for long stretches in this series about such a competition … There isn’t much that can pass for comedy here, but there’s plenty of compelling viciousness and two powerful performances.” — Wall Street Journal. 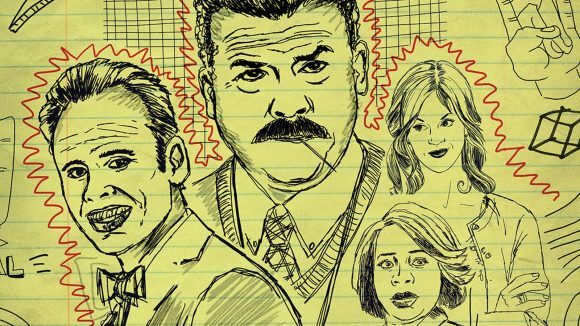 “Vice Principals is an occasionally funny but most often bludgeoning comedy. The two high school administrators of the title, enraged when an outsider is installed over them as principal, form an awkward alliance to bring her down. Their wildly inappropriate and not very successful efforts are a vehicle for satirising white male rage (the new principal is a black woman, played by Kimberly Hébert Gregory) and playing with the conventions of the teen farce and the bro comedy.” — New York Times. “There’s a streak of angry malice running throughout Vice Principals that comes out in odd outbursts of slur-ridden insults or especially heinous examples of workplace manipulation. It feels often as if the show cannot contain the anger and resentment it is trying to tap into, and instead of doing the work of converting it into comedy, it has just unleashed unpleasantness into the ether.” — Variety.